Mary T. Ambrose-McNeil, age 83, beloved wife of Dean for 16 years, and the late Robert L. Ambrose (44 years). 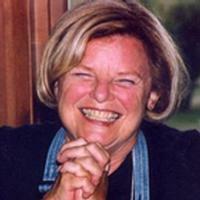 Devoted mother of the late Margaret Czajkowski, nee Ambrose, Robert L. (Jane) Ambrose Jr., Mary (late Robert) Tourounjian, Kathleen (Scott) Smith, John (Dianna) Ambrose, and William Ambrose, Diane (John) Dietrich, David (Christine), Daniel (Leslie), and the late Dean Jr. (late Marcia). Loving daughter of the late John and Helen Ciaciura. Fond sister of Harry (Virginia) Ciaciura, the late Martha (late Stan) Knowski, and the late John (Pat) Ciaciura. Fun-loving grandmother and great-grandmother of twelve. Dedicated, loyal friend to many. Wake and Funeral, Saturday, March 5th. Visitation is 11:00 AM, Mass at 12:00 PM - Stella Maris Parish (St. Rosalia's), 600 S. Bay Shore Dr., Sister Bay, WI. In lieu of flowers, donations to Stella Maris Parish, PO Box 49, Egg Harbor, WI 54209 are welcome. Online registration and condolences may be given at www.caspersonfuneralhome.com.